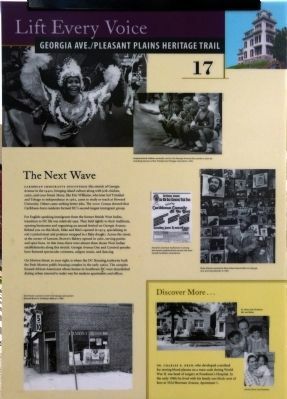 Caribbean immigrants discovered this stretch of Georgia Avenue in the 1940s, bringing island culture along with jerk chicken, curry, and coco bread. 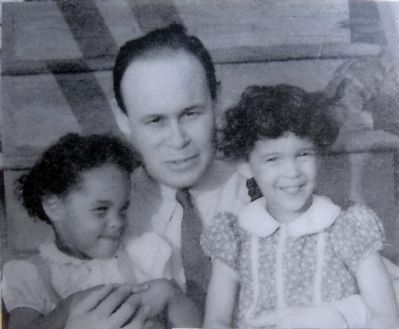 Many, like Eric Williams, who later led Trinidad and Tobago to independence in 1962, came to study or teach at Howard University. Others came seeking better jobs. the 2000 Census showed that Caribbean-born residents formed DC's second-largest immigrant group. 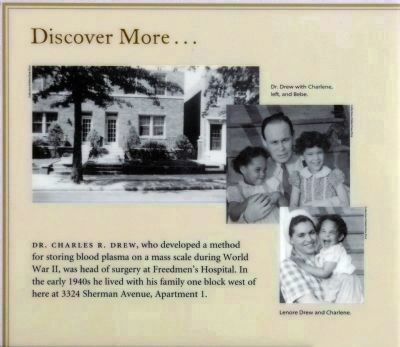 For English-speaking immigrants from the former British West Indies, transition to DC life was relatively easy. 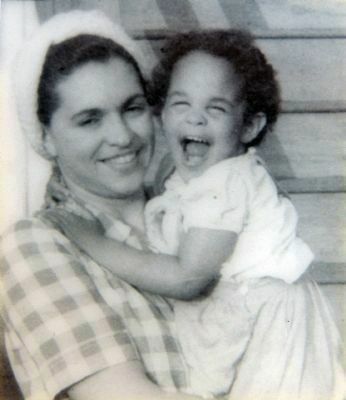 They held tightly to their traditions, opening businesses and organizing an annual festival on Georgia Avenue. Behind you on this block Mike and Rita's opened in 1974, specializing in roti, (curried meat and potatoes wrapped in flaky dough). 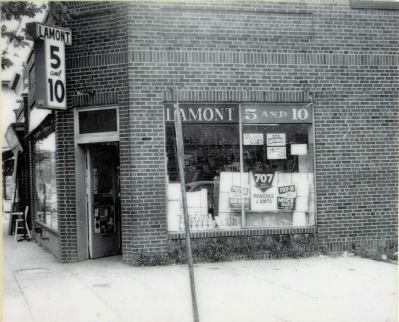 Across the street, at the corner of Lamont, Brown's Bakery opened in 1980, serving patties and spice buns. 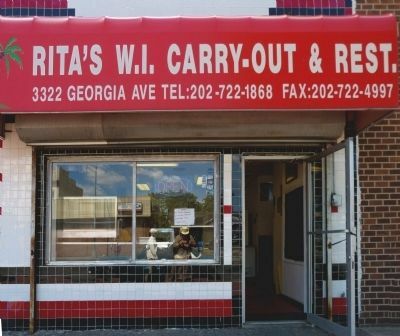 At that time, there were almost three dozen West Indian establishments along this stretch. 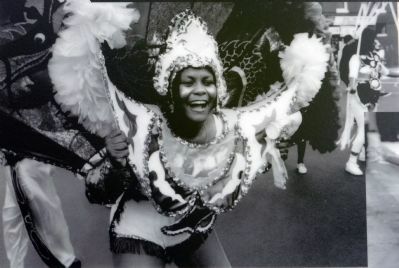 Georgia Avenue Day and Carnival parades have featured spectacular costumes, calypso music, and dancing. the Park-Morton public housing complex in the early 1960s. 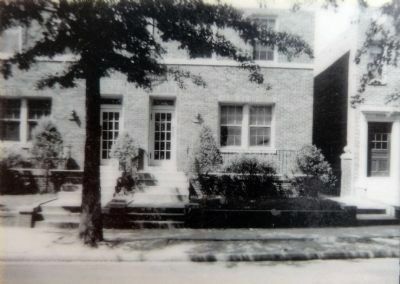 The complex housed African Americans whose homes in Southwest DC were demolished during urban renewal to make way for modern apartments and offices. Location. 38° 55.917′ N, 77° 1.425′ W. Marker is in Pleasant Plains, District of Columbia, in Washington. Marker is at the intersection of Georgia Avenue Northwest (U.S. 29) and Morton Street Northwest, on the right when traveling south on Georgia Avenue Northwest. Touch for map. Marker is on the southwest corner of Georgia Avenue and Morton Street. 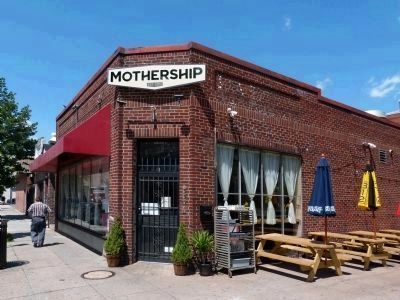 Marker is at or near this postal address: 3332 Georgia Avenue Northwest, Washington DC 20010, United States of America. Touch for directions. (approx. 0.3 miles away); "Treat Me Refined" (approx. 0.3 miles away); Mr. Lincoln’s Ride (approx. 0.3 miles away). Touch for a list and map of all markers in Pleasant Plains. 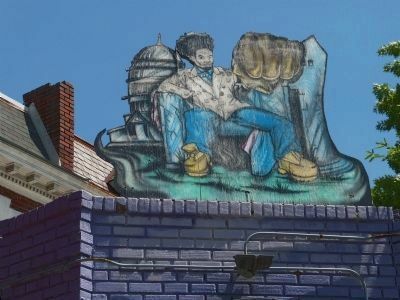 The building at Georgia and Lamont that was Lamont 5 &10 was Brown's Carribean Bakery until Stephan Boillon opened Mothership, a restaurant and commercial kitchen. 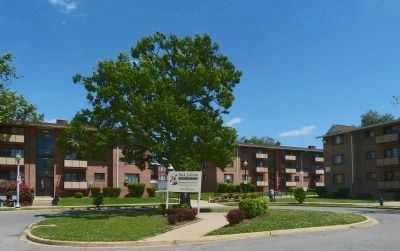 "Park Morton, constructed in 1960, is a walkup apartment community servicing families. It has 174 two-bedroom units. 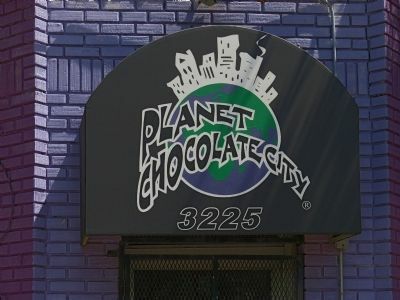 It has an on-site playground and is conveniently located near the Georgia Avenue shopping corridor." -- DC Housing Authority. 9. Dr. Drew with Charlene left, and Bebe. More. Search the internet for The Next Wave. Credits. This page was last revised on March 19, 2019. This page originally submitted on July 8, 2013, by Allen C. Browne of Silver Spring, Maryland. This page has been viewed 445 times since then and 10 times this year. Last updated on March 7, 2019, by Devry Becker Jones of Washington, District of Columbia. Photos: 1, 2, 3, 4, 5, 6, 7, 8, 9, 10, 11, 12. submitted on July 8, 2013, by Allen C. Browne of Silver Spring, Maryland. • Bill Pfingsten was the editor who published this page.